The training provided by The Healing School is comprehensive and around ten Seminars are taught each year. Each Seminar is explained briefly below. 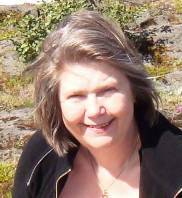 Sigrún Gunnarsdóttir is The Healing School’s Principal and main tutor. Guest tutors also teach within some Seminars where stated. 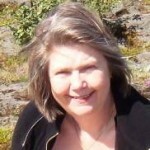 Sigrún is a healer and works mostly with trancehealing. She is a medium and a trancemedium aswell and she runs the Healingschool, developing circles, healingcircles and works with various other spiritual matters. Sigrún is a Reikimaster and she has also been training trance from the year 2000 but with emphasis on healing, first with John Alexander a well known scottish medium. Sigrún has been trained in mediumship aswell. In Iceland with Sigurdur Geir Ólafsson (Siggy) and also in ISF (International Spiritual Federation) and Psi Zentrum in Basel with several well known mediums. In mediumship her readings are very often connected with the healing as guidance aswell as information. She also works with the Tarotcards, but nowadays it is mostly in teaching. A new Meditation Circle is started each year and this is also an important part of The Healing School. The Healing School provides a very well-rounded and balanced spiritual training but with the greater emphasis being on healing. Both healing and mediumship are taught because these skills work together in a complimentary way. The healer and the medium each work in their own way with those who are suffering. The healer needs to have skills in mediumship to bring messages to the recipient when these are needed. Many people consult a medium when they are in difficulty or crisis and they need healing as well as the guidance of the spirit world. Meditation and Sensitivity, Reiki I and Reiki II, Trance in Higher Frequency, Beginners Mediumship and Dream Interpretation. There is no obligation to complete all six Seminars in one year and the other Seminars are all optional. It is also possible to take just one or two Seminars, but not the whole school. The meditation is the foundation for all spiritual work and spiritual development. This Seminar helps the students to explore their skills and to understand how to use them. Reiki is an ancient method of healing which got lost for a time until it was rediscovered in 1900 by a Japanese man, Usui Shiki Ryoho. He taught Reiki and brought it to the West. Reiki is now becoming even more powerful because it is now operating within the new higher vibrational frequency on earth. With each degree of Reiki training the students receive an initiation which gives them a connection to the highest possible vibrational frequency on each occasion. Reiki I is an excellent support for all healing work and at this level concentrates mostly on self-healing work. The student is prepared as a healing channel whether that work will be just for self-healing or later on as a healing therapist for others. Trance work has changed enormously in recent times due to the higher vibrational frequency and has become much easier to work with. It is so easy to assimilate and align within the new vibrational frequency that the new trance is just a spiritual flow, natural, wonderful and very light. The new trance or spiritual flow can be utilised within all kinds of spirit work including mediumship, healing, inspirational writing, psychic art and within our everyday lives. Advanced trance has also changed enormously too. Originally this group focused almost entirely on trance healing but this training group now works with all kinds of spiritual work as stated above. This group starts in January and finishes at the end of April. Is always the first course after the Christmas and New Year break. This course focuses on teaching the student to work as a healing therapist for other people, not just for self-healing. Who does not want to understand their dreams? On this seminar the students learn to read the signs and symbols and to understand their own dreams. Most of us dream but we often do not understand our dreams. Everyday dreams can be quite easy to understand, however, those dreams bringing divine guidance are not so easy to understand. This course will teach you how to understand the guidance which is not so obvious but which is usually the most important part. On this Seminar the students learn about most of the methods used in mediumship. This includes connecting to and receiving messages from spiritual guides (spiritual mediumship) and clairvoyance for demonstrations (evidential mediumship) where messages are communicated from the loved ones of the recipient. The students also work with cards such as the Tarot on this course. The Reiki III Seminar provided the student with an initiation into a higher frequency which greatly increases the healer’s power and is very useful for those who work with Reiki. This course does not provide the student with an entitlement to teach. Reiki IV is the Reiki Master and Teaching Degree. Special training is required to complete Reiki IV and students are entitled to teach Reiki to others. The Healing School is also able to provide Advanced Seminars related to most of the Seminars mentioned above if there are enough students.